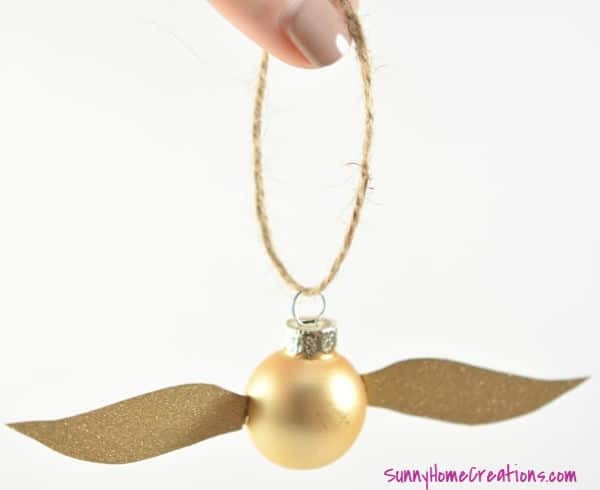 These DIY Harry Potter Golden Snitch ornaments are perfect for Harry Potter fans. Bonus! It’s super quick and easy to make. Anyone else have Harry Potter fans in their house? Harry Potter fever has hit all three of my boys. 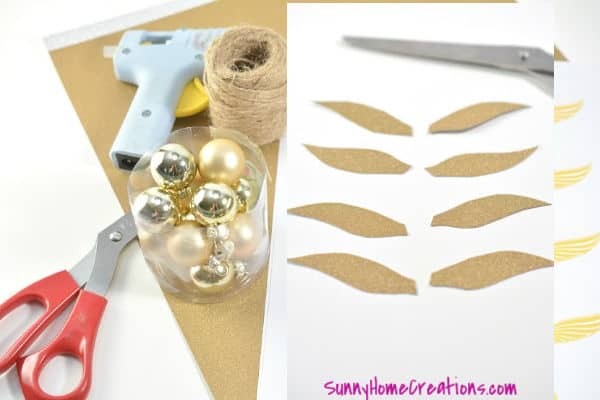 We try to make some DIY Christmas ornaments each year and these Harry Potter Golden Snitch ones are perfect to make, especially if your kids have Harry Potter fever like mine. 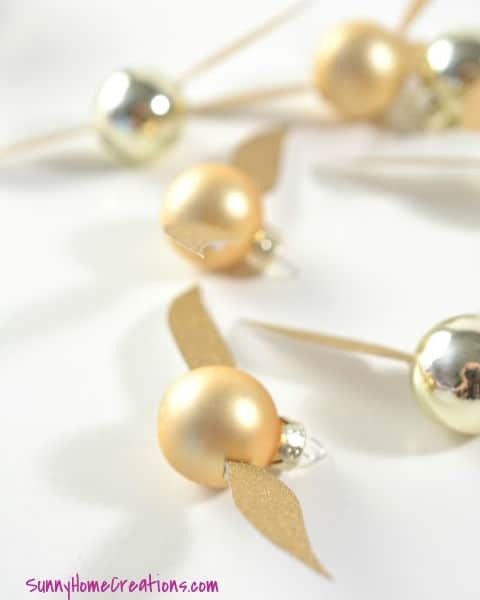 These golden snitch ornaments are super simple to make with gold ornament balls that you attach wings to. The wings are made with glitter cardstock. There are a few really easy ways you can customize your snitch wings. You can cut fringe into the cardstock wings if you prefer for it to look more “feathery”. Or you could also purchase some feathers and attach those as wings instead of the cardstock. This is a wonderful ornament to make and keep for years to come. It will bring back fond memories after your kids have moved on past their Harry Potter phase….or maybe they will always be huge fans. Let’s get to making this ornament! 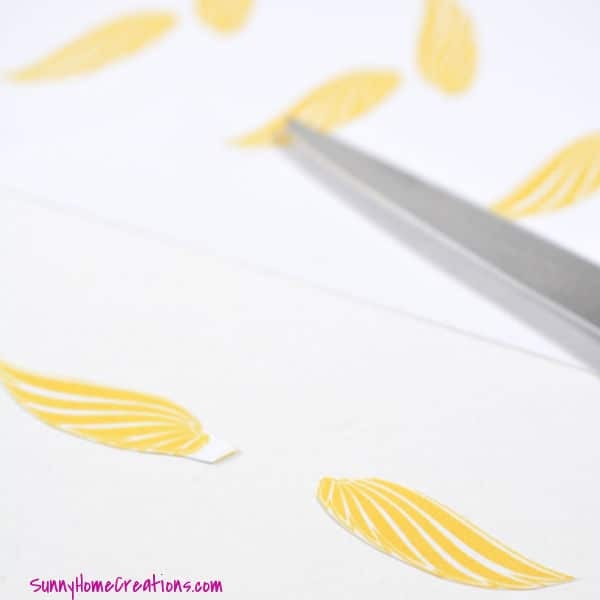 ● Golden snitch wing template (which is included in my free resource library. The first thing you need to do is to download the printable template. You can find this template in my free resource library. After you have the template printed out, you need to cut out the wings from this template. While you are cutting out the wings is a great time to plug in your hot glue gun. It needs a bit of time to heat up. 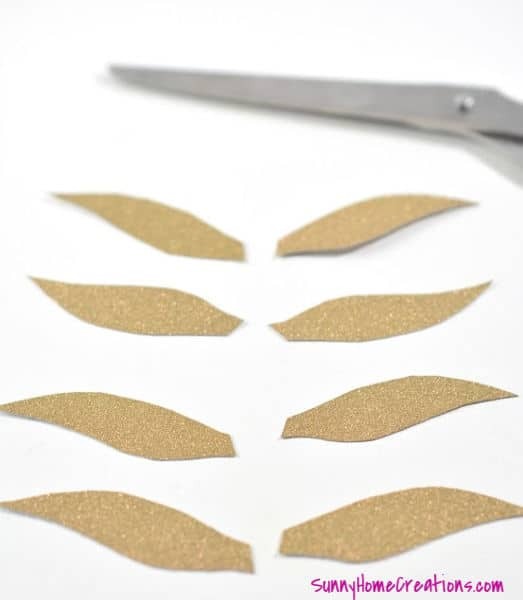 Next, you will trace the wing shapes that you just cut out, onto the gold glitter cardstock. Then, use your scissors to cut out the wing shapes that you just traced. This is probably the longest part of making this ornament, but it is worth it. On each piece of wing, fold over a small piece of it at the base. This is where it will attach to the ornament. Now it’s time to use the hot glue gun. 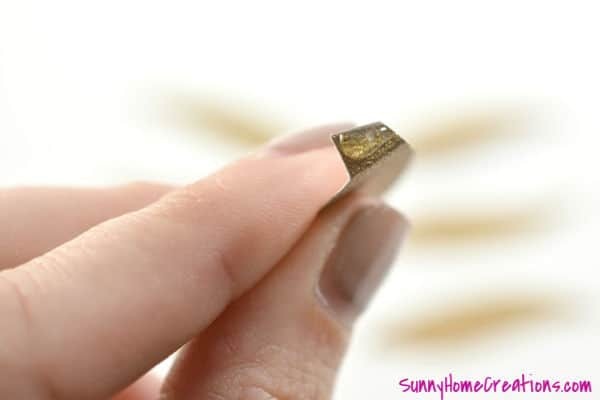 You are going to place a drop of hot glue on one of the folded over pieces of cardstock, then attach the wing to one side of the ornament. Do the same thing with another wing and attach it to the other side of the ornament. Now, the golden snitch has wings! Next, you’ll cut a piece of the twine and tie it around the top of the ornament so you can hang it on the tree. 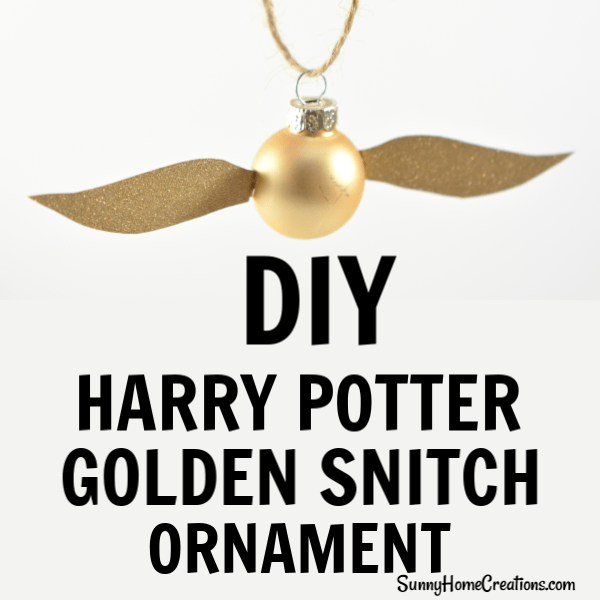 Continue making golden snitch ornaments until you run out of supplies. Viola! 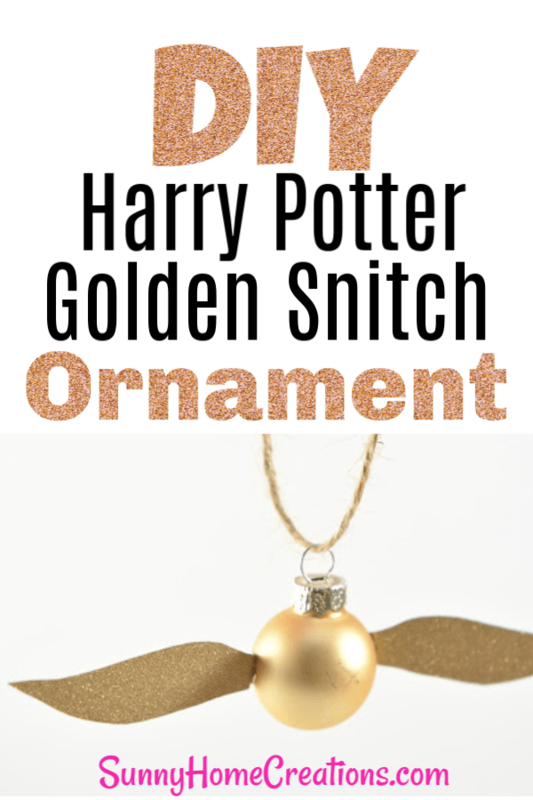 You now have a DIY Harry Potter golden snitch ornament and it is ready to be hung onto your tree! Make sure to pin this so you can come back and make this later!